Télénavette offers a shuttle service and accompanied descents. 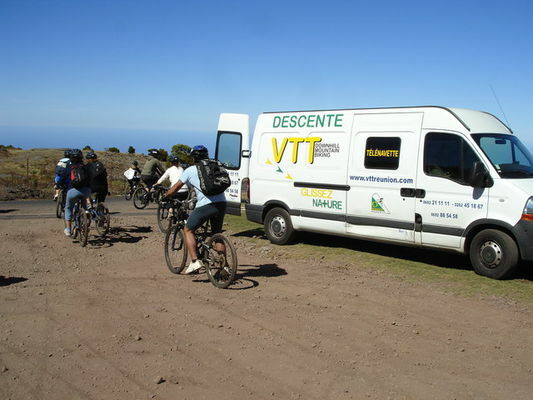 Open to children aged 12 and over, all-terrain bike descent is a playful activity carried out in the midst of nature. The Maïdo massif is a high point of all-terrain bike descents. It offers a variety of viewpoints and topography: rolling tracks, single tracks, banked corners, mogul courses, etc. Guidance by State-qualified monitors and hire of fully-suspended all-terrain bikes. Return journey by minibus available.